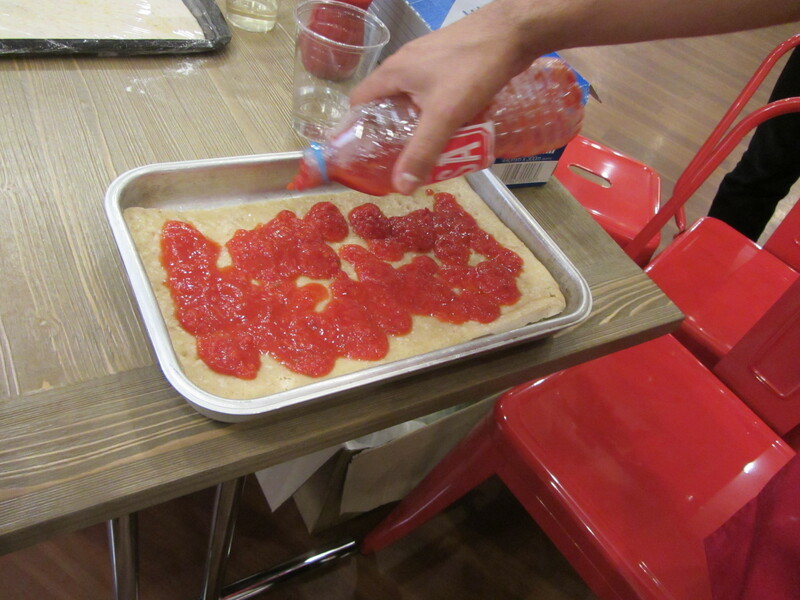 Are you familiar with that scene, of eating pizza finding the base flopping about and ingredients sliding off? 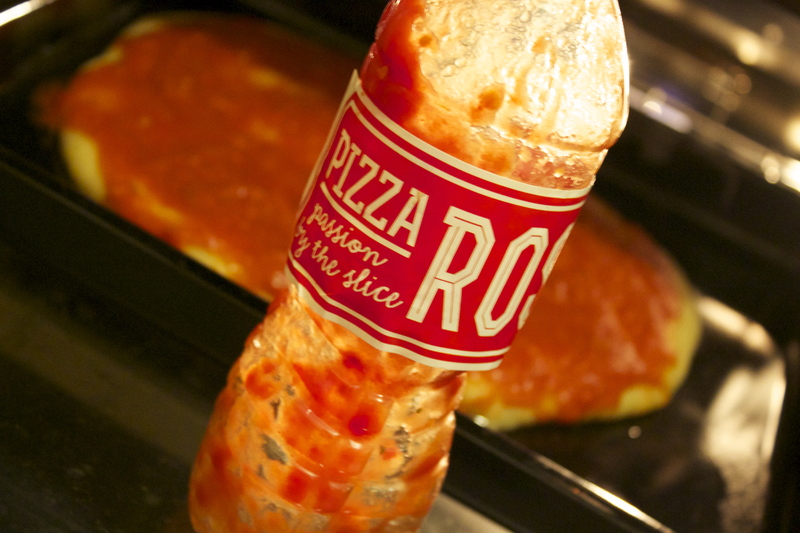 Your clothes should not become your bib, from stringy cheese and smeared tomato sauce. 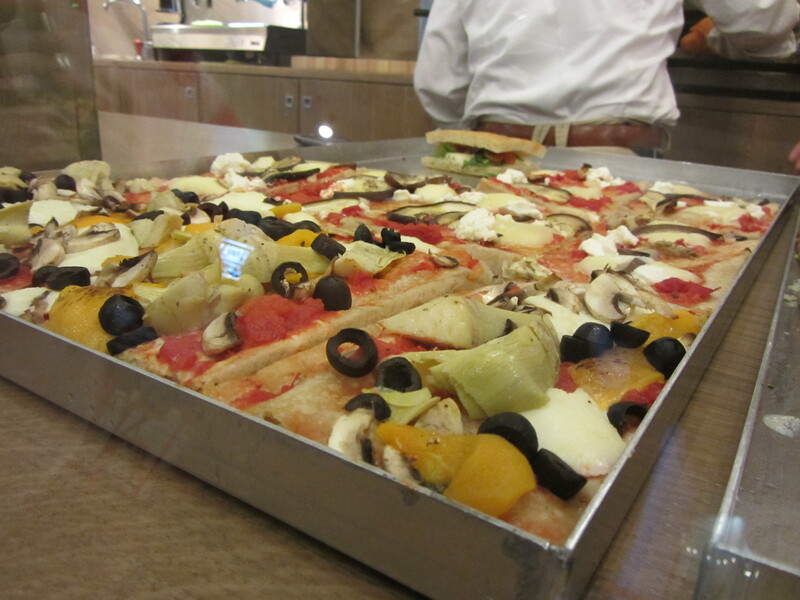 Nor should you be over stuffed by too many carbs. 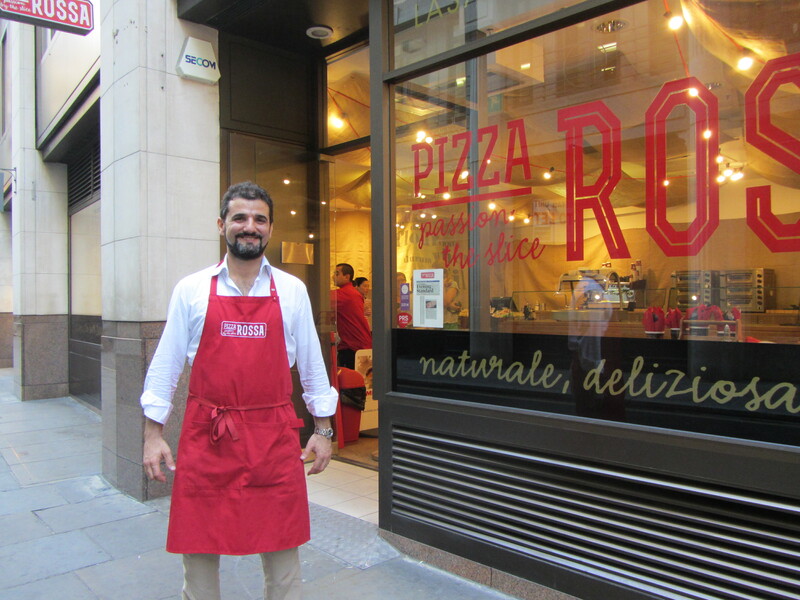 Here comes newcomer Pizza Rossa, open as a pop up near Leadenhall market. 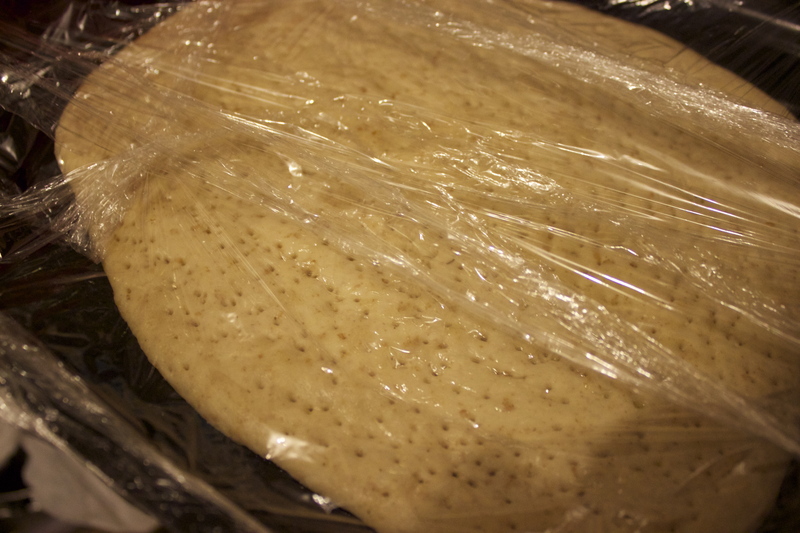 Selling pizza by the slice, the dough is slow proved for 24 hours, using the bare minimum ingredients. 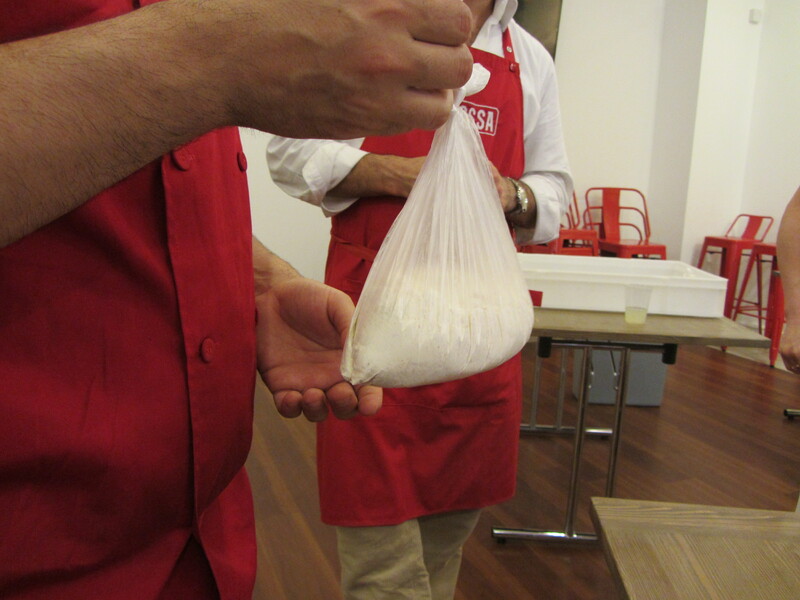 It is highly digestible, low in salt, has zero sugar. 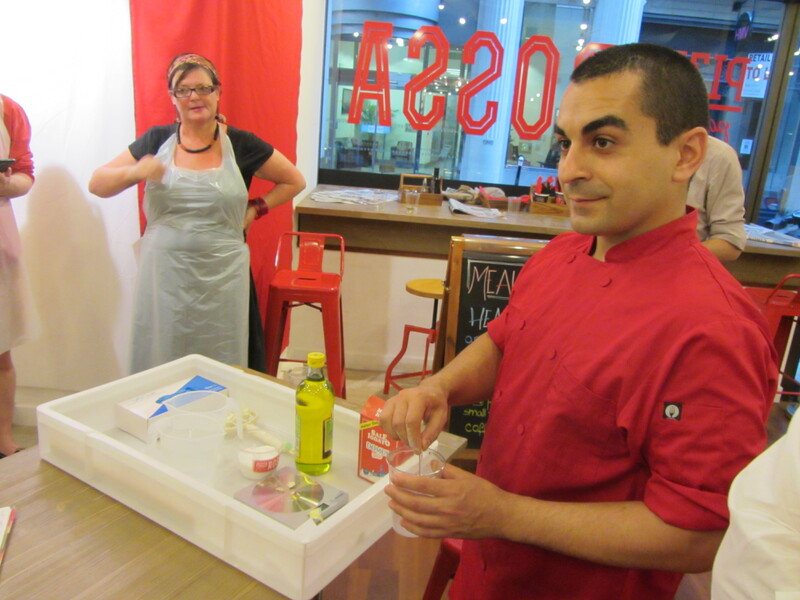 Your ordered is ready in 90 seconds flat with a choice of healthy tasty ingredients. 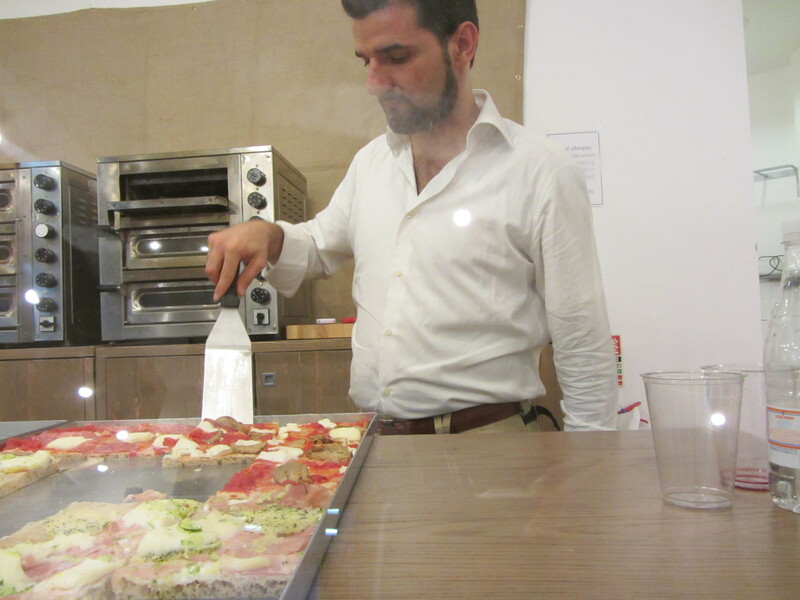 I was invited down to meet the founder Corrado Accardi, who had an interesting story. 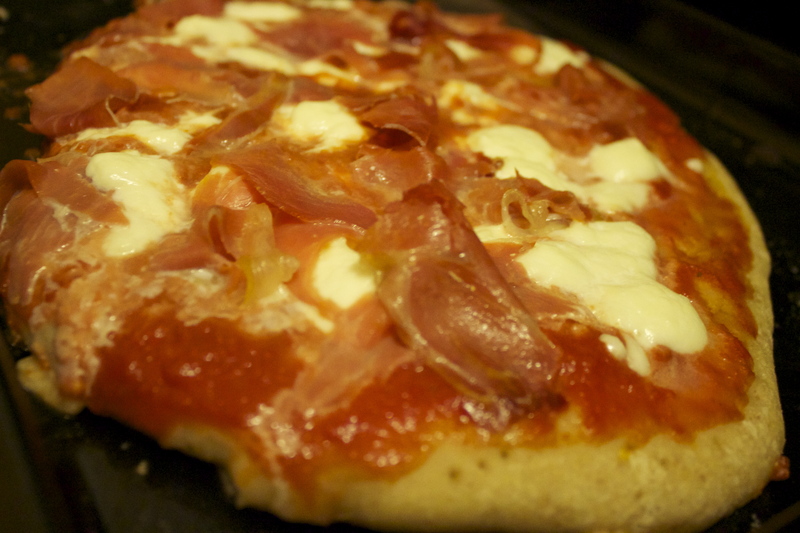 Pizza Rossa has been using crowdfunding to set up the business and there should be another two venues to be opened. 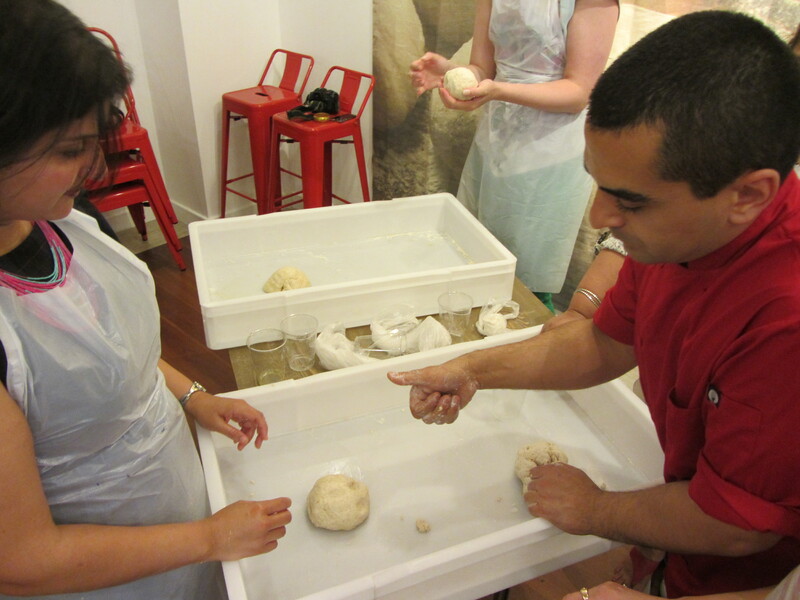 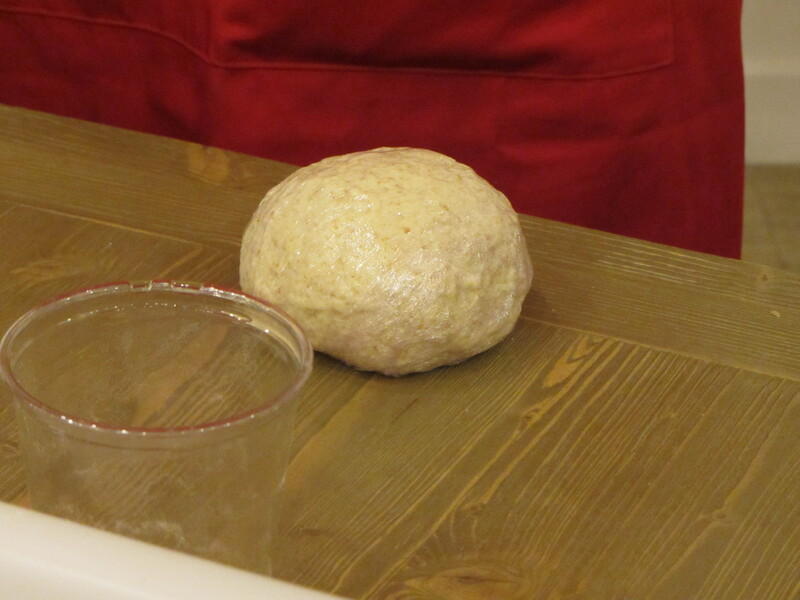 After a demonstration on how the process of making the dough, we all made our own dough from scratch to be taken home to make pizza the next day. 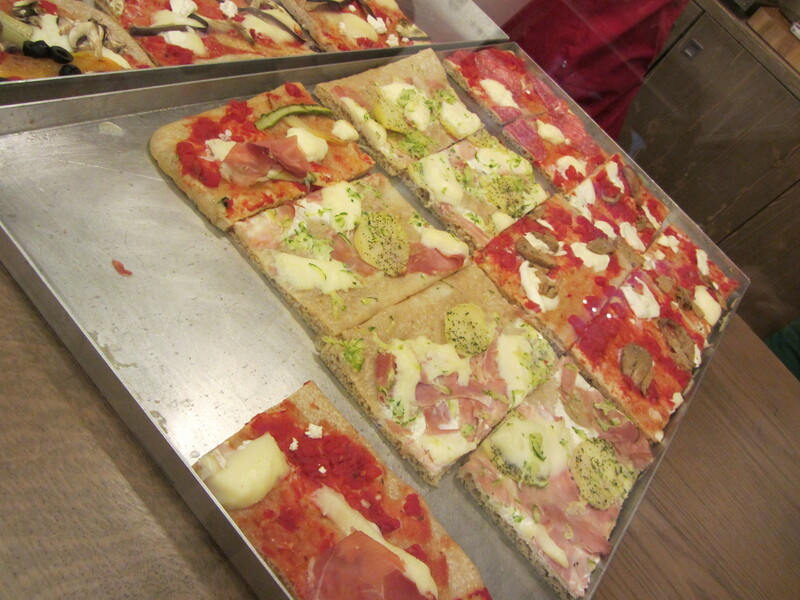 At the end of night, we got to taste the different variety of pizzas sold at Pizza Rossa. 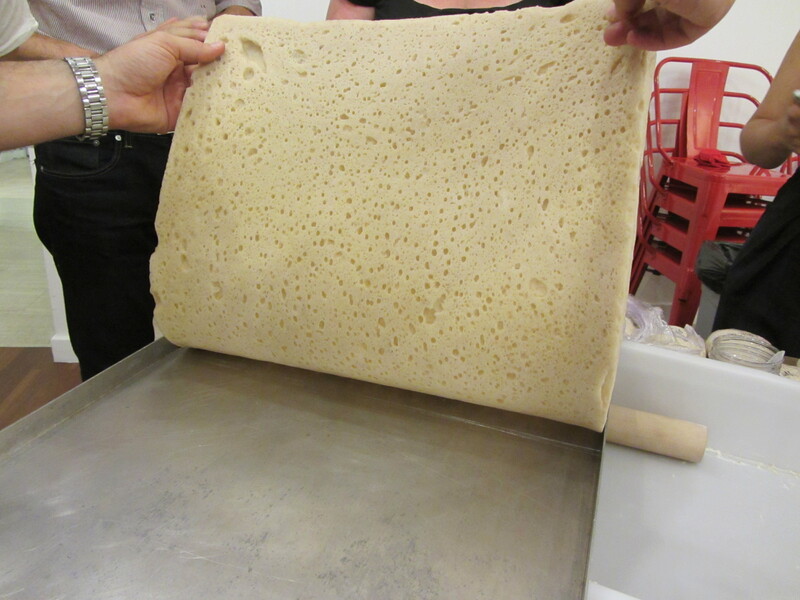 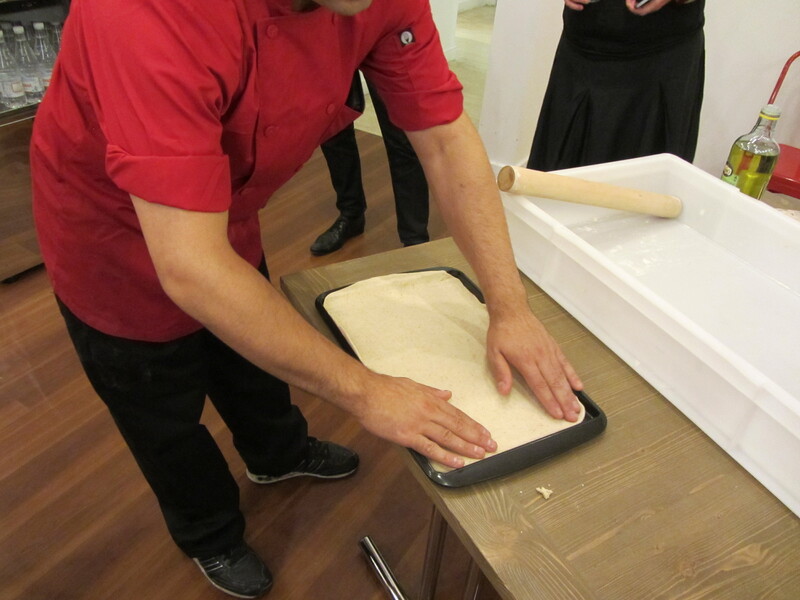 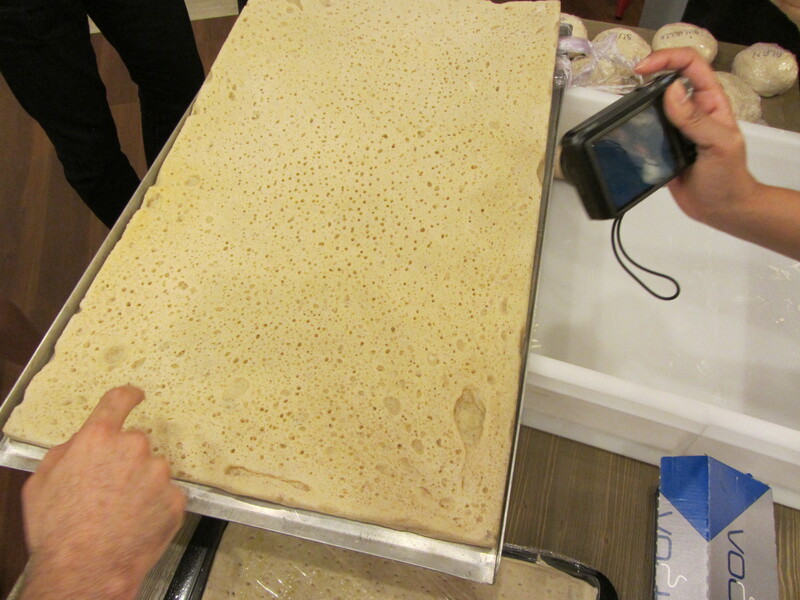 First of the base is super robust, when shown a pre-cooked version, even when Corrado bent the dough it was still in tact. 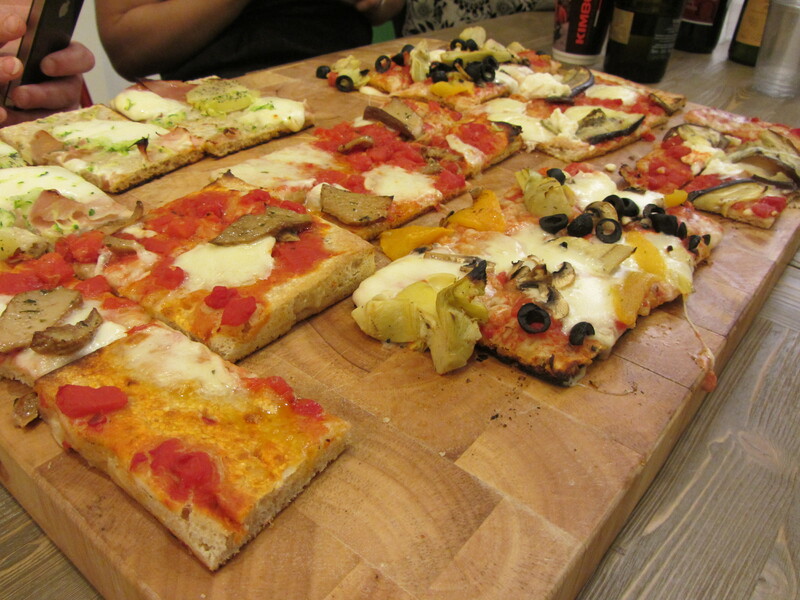 The pizzas were bursting with intense flavours with alluring aromas; underneath the chunky pieces of goodness awaited the strong tomato sauce. 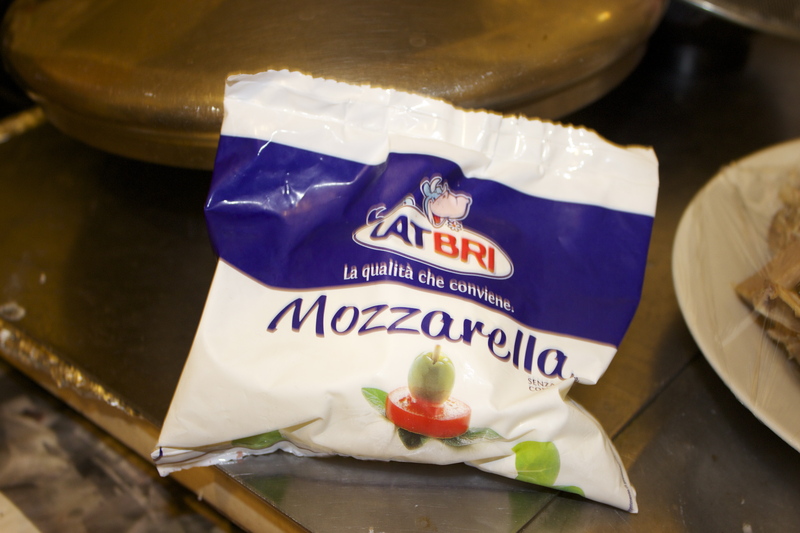 Bubbling crates of melted mozzarella cheese, pizza made with the finest ingredients. 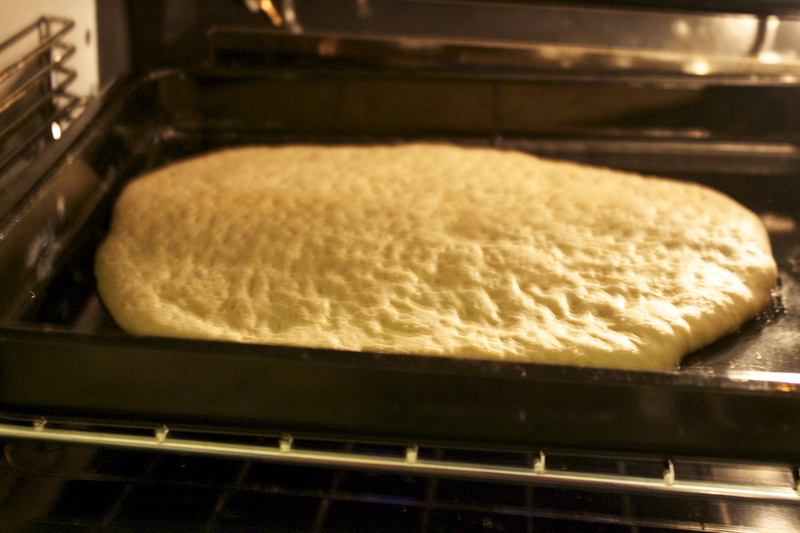 The base was quite something, hard to pinpoint but it was similar to focaccia, but had this crunchiness. 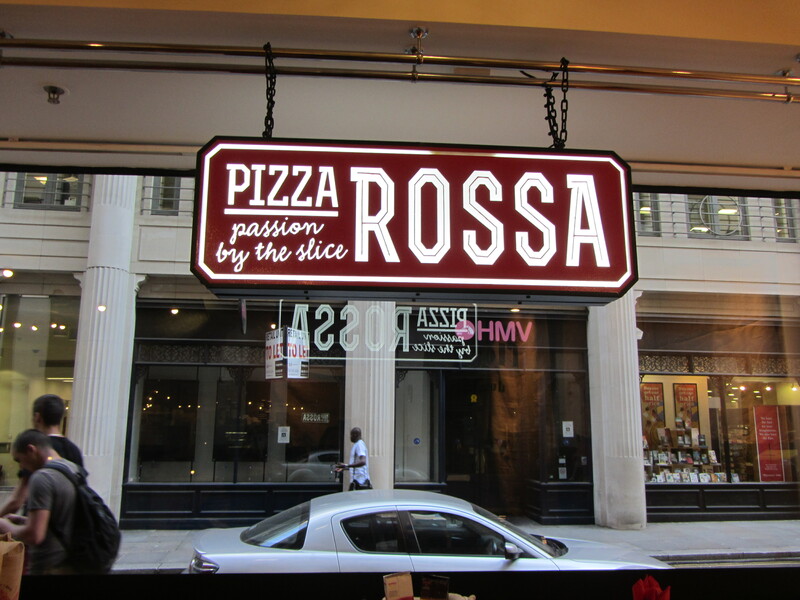 Slices of pizza from Pizza Rossa are from £2.95 trust me you won’t go leave hungry or disappointed. 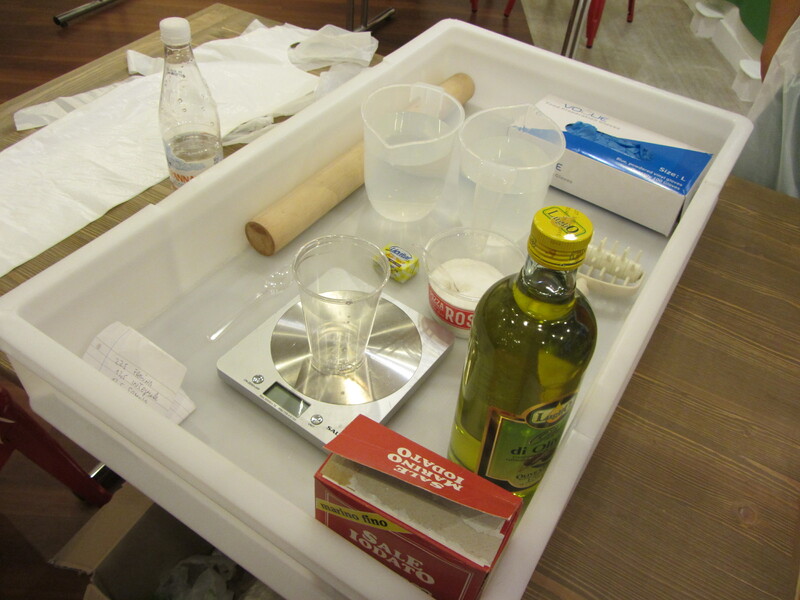 Carrado is looking to add DIY pizza kits in supermarkets in the near future. 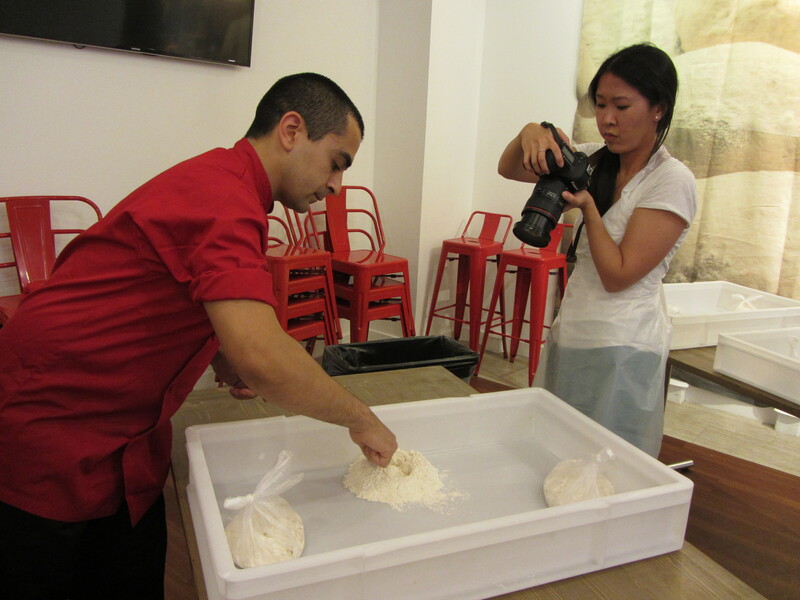 From the dough I made at his store to making my own pizza at home. 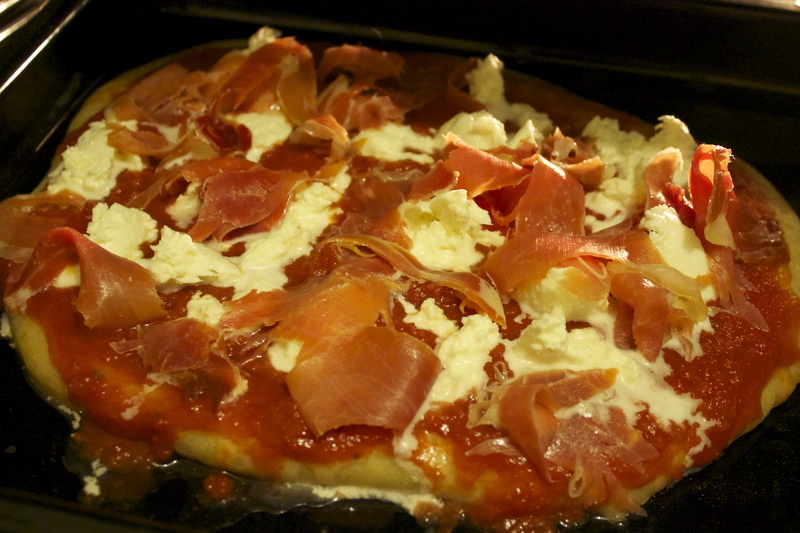 I am confident it will do well, using good ingredients the pizza tasted as great as the ones I had from his place.